The QcomDloader Tool is a computer application that can be installed on the Windows operating system to assist you with flashing firmware files to mobile devices that come with a Qualcomm SoC (system chip). Smartphone flashing tools typically come capable of flashing firmware for a particular manufacturer of system chip. Some of the larger manufacturers out there such as Samsung have their own flashing tools, while many of the smaller manufacturers rely on using a flashing tool that’s going to work for the device’s processor, i.e., be it Qualcomm or MediaTek. 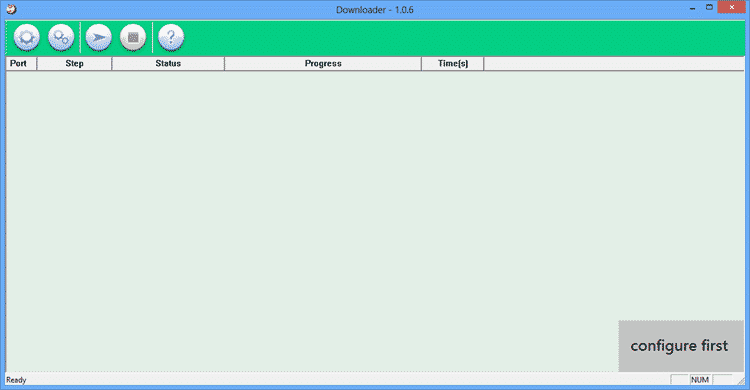 You can find the direct download links to all versions of the QcomDloader Tool. Flash Stock Firmware: You can use the QcomDloader Tool to flash stock firmware to your device. This means it will work for most devices that have a Qualcomm system chip. But you still need to make sure you have the correct firmware file to flash, which is something entirely different. Easy To Use: The QcomDloader Tool comes with an easy to use interface that allows you to flash firmware files with just one click of a button. Much like the competition, this flashing tool is made to be user-friendly. Advanced Settings: The QcomDloader Tool might lack some of the features that other flashing tool’s out there have, it does come with some advanced features of its own, including the chance to configure the manufacturer order, use download mode, choose the chipset number, as well as the option of eMMC programmer or Raw program. Supports Qualcomm SoC’s: You can use the QcomDloader Tool to flash stock firmware files for most devices that have a Qualcomm system chip. Use a search engine such as Google to find out the device specifications if you’re unsure of what hardware your device comes with. You should always use the latest version of the QcomDloader Tool—signified by the higher version number on the download links—unless you have a good reason not to. The latest version of the flashing tool’s will typically be compatible with more software, more devices, as well as pack in some bug fixes that make it a better version than the last. But if you’re unable to flash the firmware on your device, try using one of the older versions as a fix. Alternative Tools: If you’re unable to open the QcomDloader Tool on your computer, there are other alternatives, some of the most notable being Qcom Phone Download Tool and Qualcomm Flash Image Loader (QFIL). Compatibility: The QcomDloader Tool is compatible for use with Windows 10, Windows 8.1, Windows 8, Windows 7, Windows Vista and Windows XP. Support: You can use the QcomDloader Tool for smartphones and tablets that come with Qualcomm system chips. Check mobile device specification websites such as GSMArena or PhoneArena for your specs if you’re unsure. Official Tool: Wingtech Shanghai makes the QcomDLoader Tool.